Soooo, we recently inherited a flock of chickens. And even though at least 5 or 6 of the hens are of laying age, with the stress of the move, the short daylight hours, the fact that they free-range right now, and the fact that we didn’t really have any nest boxes built for them meant that we had yet to see an egg. 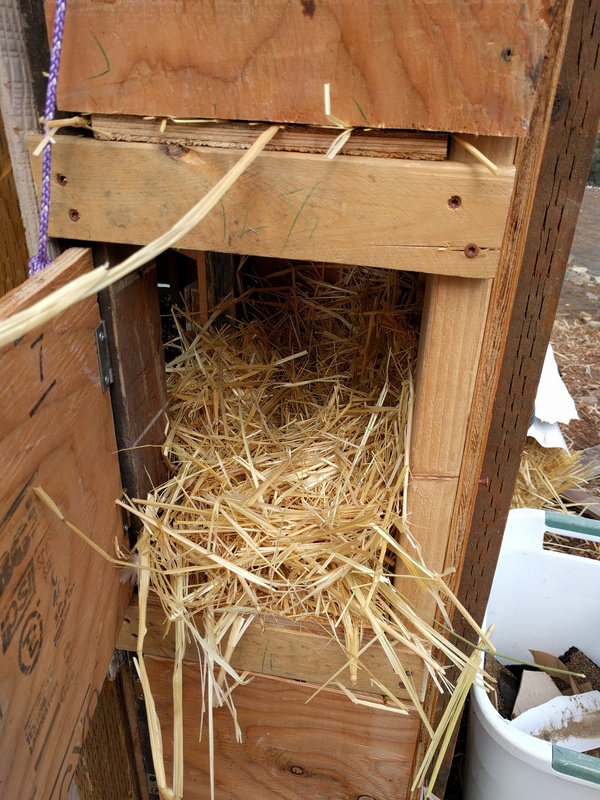 We recently built the nest boxes and stuffed them with straw. Each box has an opening accessed from inside the coop for the chickens, and a door for the humans to look for eggs. 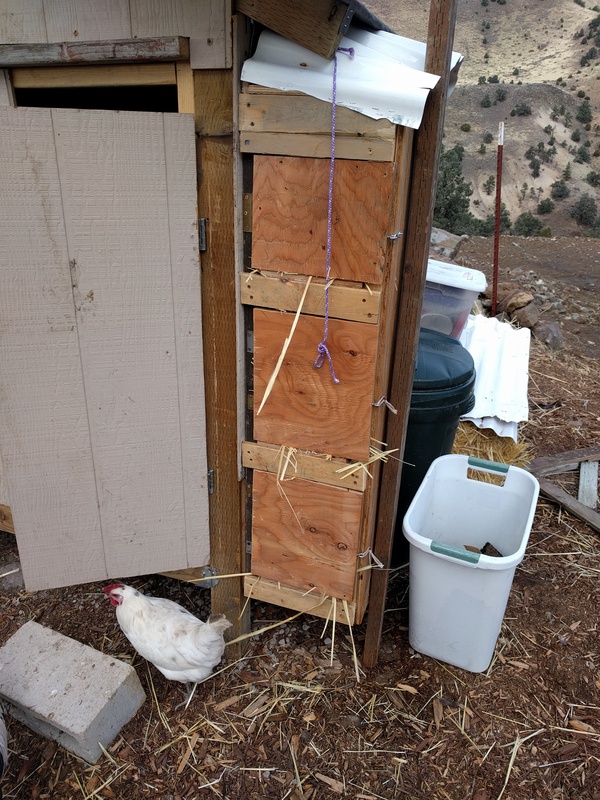 So I think just adding the boxes and the straw helped the mature hens to get the right idea, but I also think our other idea helped. 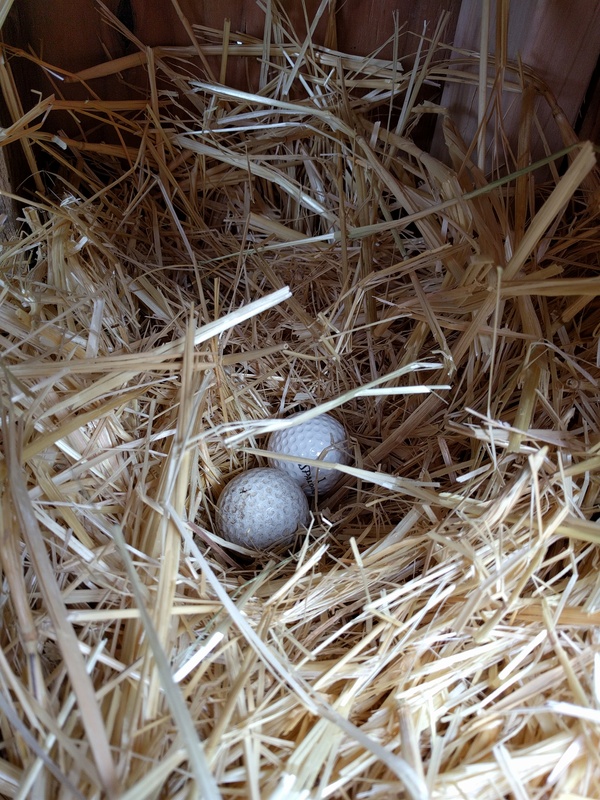 We put a couple of golf balls in each nest! Golf balls to encourage laying. I learned in Justin Rhodes’ Permaculture Chickens e-course that to encourage a hen to go broody, you can leave a couple ceramic or wooden eggs, or better yet, golf balls, in the nest. Golf balls are cheap and easily obtained compared to ceramic or wooden eggs. Especially since we already had some! I figure if it helps them go broody, then it should encourage them to start laying in the nests. We finished the nest boxes and put the golf balls in two days ago. Yesterday I saw one of the mature hens checking out the new accommodations. 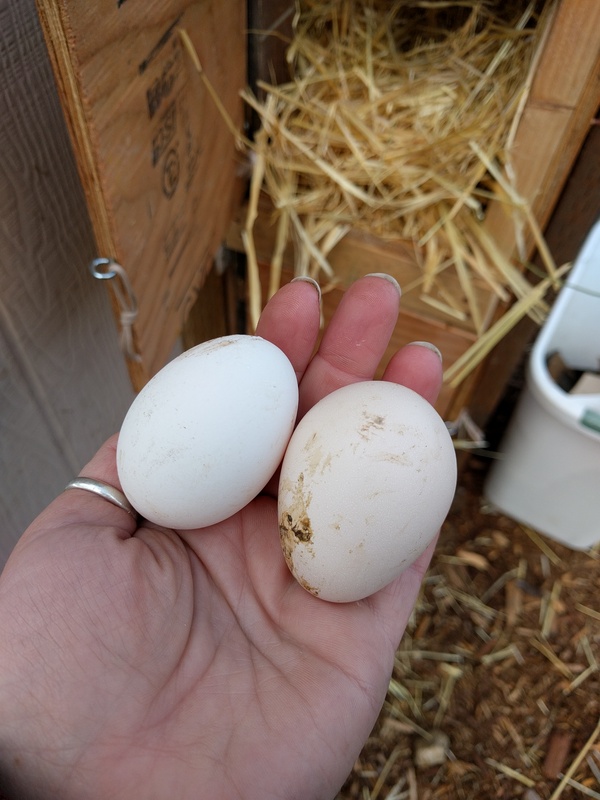 And today, there were two eggs! How about you? Do you have chickens? How many eggs are you getting right now? This entry was posted in No Way! and tagged Chickens, Eggs, Homestead, Homestead Produce, Homesteading on December 8, 2016 by Maridy.